Maybe the patient stepped on a LEGO. 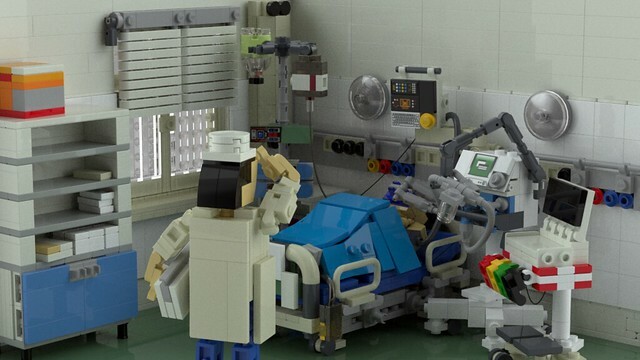 . .
Kirill Simerzin made this wonder, complete, and immersible LEGO scene of an emergency room. There are so many details and devices showcasing in this single photograph, it's hard to take everything in at once. The clever window and shaping of the hospital blankets over the patient are just a couple aspects of the nicely detailed scene. Take a closer look for yourself!